Here's another home-brew dungeon from my youth, scanned and posted for your consumption. Unlike some of the previous dungeons I created back in the day, whose exact date of creation I can't be certain, I can give this one a relatively accurate birth date: some time in February or March of 1983. How can I be so certain? 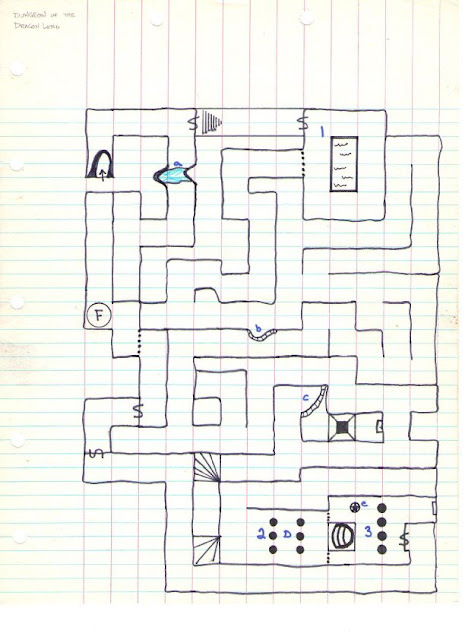 Well, it's because I have a semi-clear recollection of watching Wizards & Warriors as I drew the map for this dungeon. 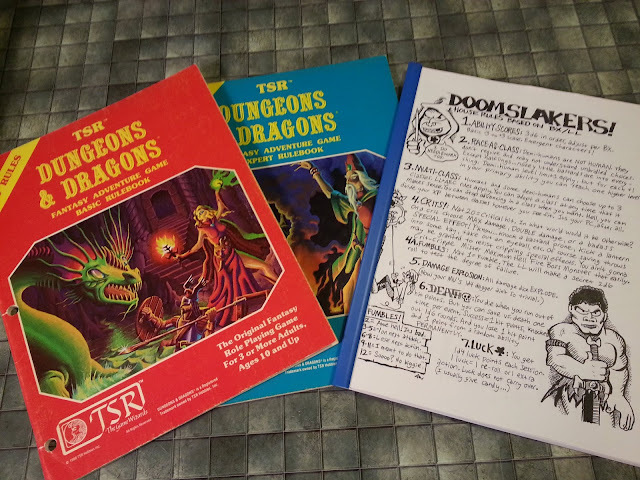 So, straight from the early '80s, I present to you the Dungeon of the Dragon Lord. (I seem to have misplaced the stats for the Dragon Lord himself, but any NPC magic user of third or fourth level should do.) Enjoy! Up next in the "Dungeons of My Youth" series: Dungeon of the Dragon Lord revisited - 13 years later!